Following a highly successful ISE 2016, ALC NetworX is gearing up for an equally busy PL&S 2016 in Frankfurt. RAVENNA partners present at the show include Lawo, Merging Technologies, Riedel, Sennheiser/Neumann, Luminex, Archwave, Boldburg and Genelec. OEM technology supplier, Archwave, will also be participating on the ALC NetworX booth, demonstrating their RAVENNA/AES67 SoM solutions. 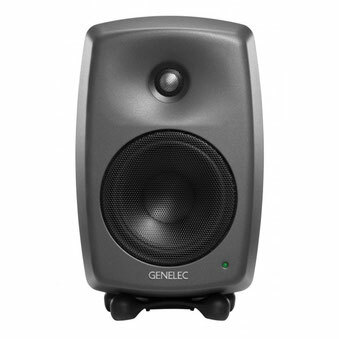 A selected range of RAVENNA-enabled products and solutions will be showcased on the ALC booth with the spotlight reserved for the new Genelec 8430A IP SAM RAVENNA-enabled studio monitor, recently launched to great acclaim at ISE 2016. Other featured products include DirectOut’s MONTONE.42 MADI to RAVENNA bridge; the GigaCore 14R Gigabit Ethernet switch from Luminex; Omicron Lab’s OTMC-100 antenna-integrated PTP Grandmaster clock; Merging Technologies’ Hapi networked audio interface; and Neumann’s DMI-8 digital microphone interface equipped with a RAVENNA card. On display will also be a full range of OEM solutions aimed at helping manufacturers to easily integrate RAVENNA/AES67 capability into their products from Archwave, Coveloz, Digigram and ALC NetworX . Merging Technologies will of course be exhibiting their enormously successful Horus and Hapi networked audio interfaces alongside their newly launched CoreAudio driver that is available for the whole AES67 community. This driver, dubbed RAVENNA/AES67 Virtual Audio Device, is fully compliant with RAVENNA and automatically compatible with Dante as part of the AES67 community, allowing an easy way for Mac users to connect to the majority of available networked audio devices. The big news is that this is a free-of-charge download from the Merging website. The Virtual Audio Device supports full operation of up to 64 channels in and out at 44.1/48kHz. Lawo will be showing a wide offering of RAVENNA-enabled products including NOVA37, their innovative hybrid RAVENNA/MADI Plug&Play audio router, the RAVENNA virtual sound card for the JADE engine that was launched last September, as well as the A_line series of high quality audio-to-IP interfaces based on RAVENNA technology for broadcast, live and install applications. New RAVENNA partner, Boldburg, will also be there with their high end Galileo range of RAVENNA-enabled modular multi-core devices with fully hot-swappable modules for even greater flexibility and reliability. HEDD Audio will be exhibiting their state-of-the-art studio monitors featuring their HEDD Bridge modules, modular input cards designed to slot into the back panel of the studio monitors in order to provide a variety of input options. There are currently five cards in the range, including a RAVENNA/AES67 module. 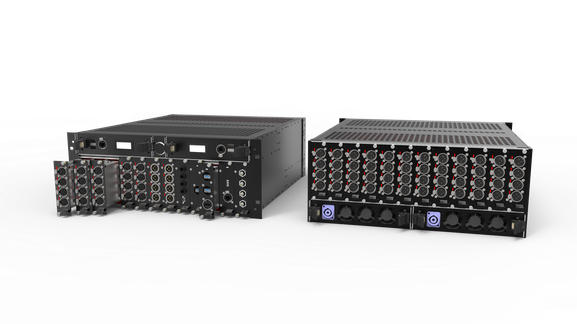 Finally, we are pleased to announce two new launches from recently signed RAVENNA partner, Cymatic Audio, manufacturers of the popular uTrack24 multi-track recorder, player and interface for MI and semi-professional use. Hailed as the industry’s most affordable 24-channel USB audio interface for high quality recording of anything from small bands to large ensembles, Cymatic is making the uTrack24 even more attractive with the launch of the AUDIOLAN option card based on Archwave’s AUDIOLAN module. With the AUDIOLAN option card, the uTrack can now connect directly to any industry standard RAVENNA/AES67 audio network. The second new product is the Cymatic Audio uNode M42 remotely controllable mic preamp which enables you to add microphones, line-level sources and MIDI devices to your AES67 or RAVENNA network. Offering 4 high quality remotely controllable mic/line inputs, 2 line outputs and a MIDI I/O in a compact 1U half-rack form factor, the uNode24 is equally at home in both live and fixed install environments.